Well, i think everyone knows that Swine Flu is getting serious around the world recently. However, how much you know about Swine Flu? What should we do to prevent swine flu infection? I just want to share something very important to all my friends here if you still have a vague notion about SWINE FLU. It is not joking, kindly be patient and do the needful subsequently. It is a respiratory disease of pigs caused by type A strains of the influenza virus. It regularly causes high flu outbreaks in pigs but with low death rates. There are four main sub-types of the virus, but the most recent isolated influenza viruses from pigs have been H1N1 viruses. The “H” refers to the viral hemagglutinin protein, and the “N” refers to the neuraminidase protein (enzyme). There are H1N2, H3N1, H3N2, and H2N3 strains of swine flu endemic in pig populations. How does swine flu spread? Is it airborne? The new swine flu virus apparently spreads just like regular flu. You could pick up germs directly from an infected person, or by touching an object they recently touched, and then touching your eyes, mouth, or nose, delivering their germs for your own infection. That's why you should make washing your hands a habit, even when you're not ill. Infected people can start spreading flu germs up to a day before symptoms start, and for up to seven days after getting sick, according to the CDC- Centers for Disease Control and Prevention. The swine flu virus can become airborne if you cough or sneeze without covering your nose and mouth, sending germs into the air. Is there a vaccine （疫苗） against the new swine flu virus? No. But the CDC and the World Health Organization are already taking the first steps toward making such a vaccine. That's a lengthy process -- it takes months. How can I prevent swine flu infection? Wash your hands regularly with soap and water, especially after coughing or sneezing. Or use an alcohol-based hand cleaner. Covering your nose and mouth with a disposable tissue or handkerchief when you cough or sneeze. Throw the tissue in the waste basket after you use it. Avoid touching your mouth, nose, or eyes. Can I still eat pork? Yes. You can't get swine flu by eating pork. Swine influenza viruses are not transmitted by food. Eating properly handled and cooked pork and pork products is safe. Cooking pork to an internal temperature of 70ºC and above kills the swine flu virus. Which countries have had cases of the swine flu? The World Health Organisation (WHO) has confirmed human cases of swine flu in Mexico, the United States, Canada and Spain. Only Mexico has reported deaths from the new strain. Are there any travel restrictions or advisories for Malaysians? The Health Ministry on April 27 advised Malaysians against travelling to certain places in the United States, Mexico and Canada which have been affected by the swine flu. What precautions are in place in Malaysia? - The Health Ministry’s operations room in Putrajaya has started a 24-hour monitoring of the situation. The public can call 03-8881 0200/300 for enquiries. - Those returning from Latin American countries and found to have flu-like symptoms will be quarantined. - Health Ministry officials are conducting health screenings on passengers arriving from the United States. - Thermal scanners will be placed at international airports to speed up the screening process for swine flu. - Public and private medical practitioners have been instructed to report to the district health office any patient with influenza-like illnesses or severe pneumonia symptoms and who had travelled to the affected countries after April 17. 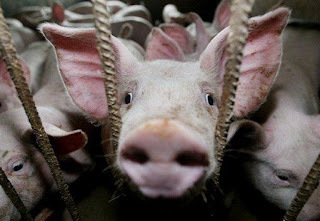 - Owners of the 797 pig farms nationwide have been ordered to immediately contact the nearest Veterinary Services Department office or the Animal Disease Control Centre if their workers or animals show symptoms linked to the swine flu. For more information, go to the Health Ministry (www.moh.gov.my) or call the Ministry's hotline at (03) 8881-0200/300.